If we don’t provide the answers below, be sure to contact us. 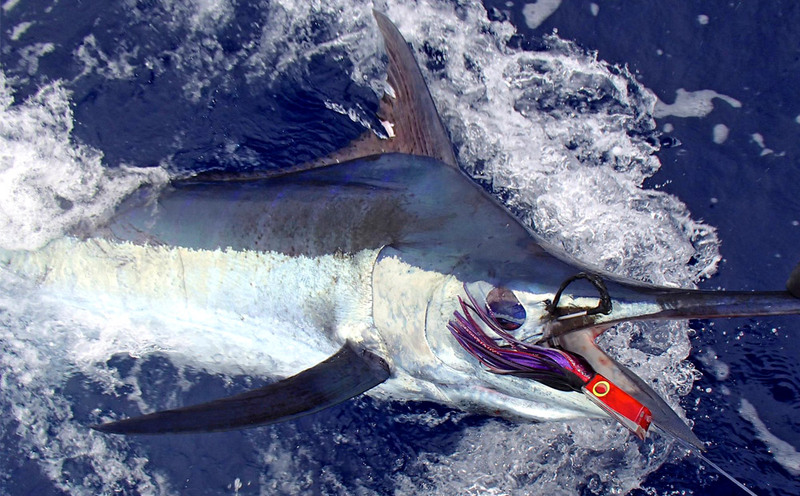 We target big gamefish, particularly blue marlin, striped marlin, ahi, kawakawa, skipjack (tuna), mahi mahi (dolphin fish — NOT Flipper! ), ono (wahoo), and spear fish. Do you have a special 'plan' for the day? A particular 'route' that you fish? NOPE. Each day is different (this is what keeps us going!). Where we end up depends on a number of factors such as weather patterns, recent bite locations and…most of all…sheer gut instinct. 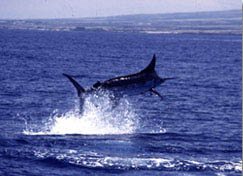 With 31 years experience fishing in Hawaiian waters our “instincts” are getting pretty well honed. 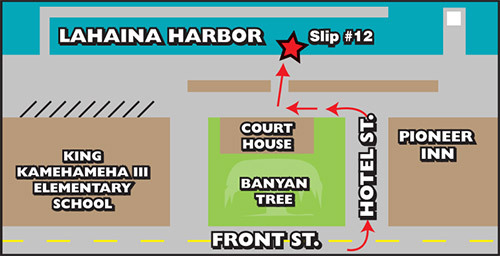 We prefer to leave early in the morning (5:30am) from Lahaina Harbor, though if you prefer a shorter afternoon trip, we can arrange that too. 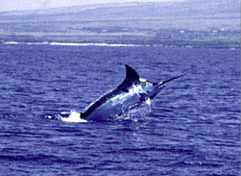 Lahaina is typically the calmest of the Maui harbors and is relatively close to the more active fishing destinations. We are roughly 45 minutes from the neighbor islands of Lana’i and Kaho’olawe, and about 1 hour from the island of Moloka’i. 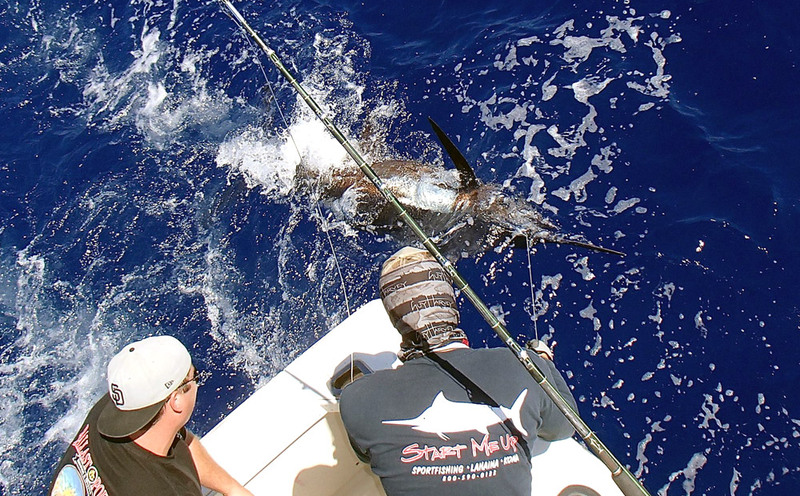 We are one of the fastest boats in Lahaina Harbor which gives you more time where the bite is! Would you recommend the trip for non-fishermen? Start Me Up is a high-end vessel with a bathroom. Non-fishing passengers will find it very comfortable. The scenery is spectacular and a camera is recommended. You will need to arrange for food and beverages for the day. It is best to do this the night before as there’s not much open early in the morning. We will supply all the ice and fishing gear. 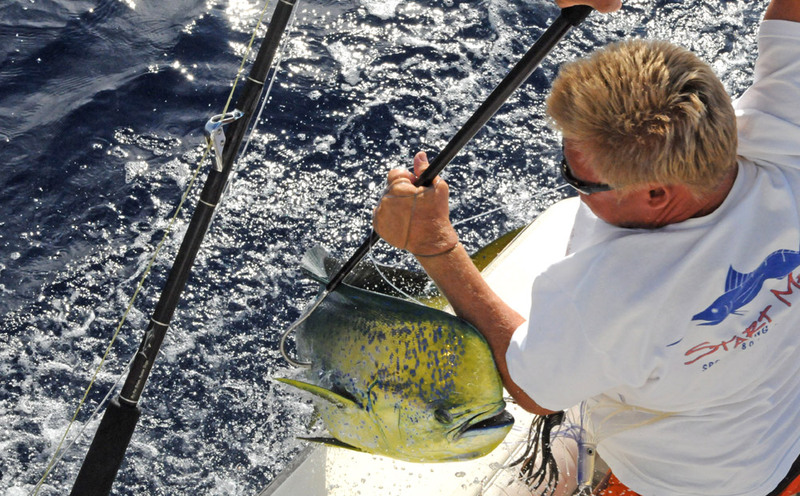 Contrary to popular belief, you DO NOT need a fishing license to go sportfishing. Oh, and don’t forget your sunscreen, and/or sunglasses, camera and other personal items! And, of course, any “lucky charms” you may choose to bring with you will not be discouraged. 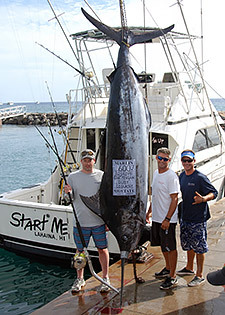 While many sport fishing companies in Hawaii will tell you “the fish has to stay with the boat,” Start Me Up’s policy is exactly the opposite. If you catch it, you can keep it! We’ll even filet enough fish for you and your party to enjoy a scrumptious seafood dinner. Keep in mind that there are no canning/processing/shipping facilities on Maui. 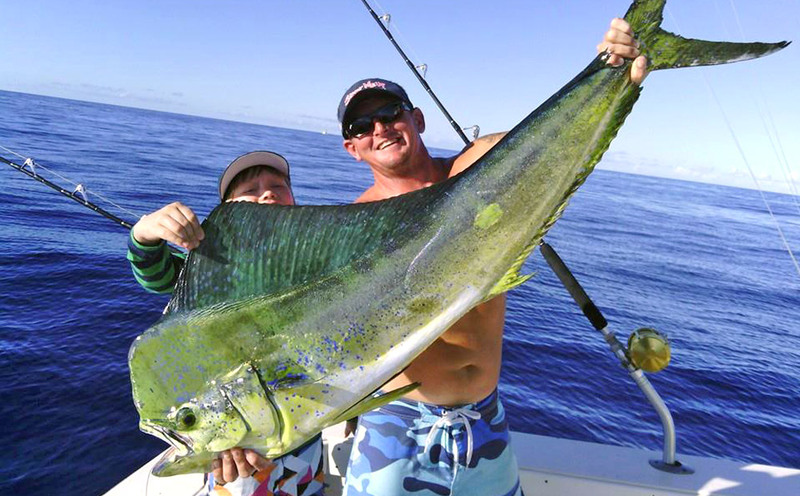 If you don’t want to keep your fish, you can also choose to have it mounted, tag and release or give it to the crew – just ask your captain for more information. What are your booking proceedures/cancellation policies? We require a credit card to secure your reservation at the time of booking. Your card will be charged the full amount within 72 hours prior to your trip. If you’d prefer to pay by Traveller’s Check or another form of payment, make sure to let us know, so we do not charge your account. Because of our low maximum capacity of 6 fishers, cancellations made 72 hours or less prior to departure are non-refundable for the full amount of the trip. 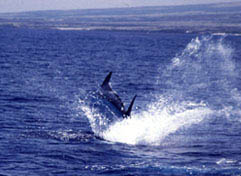 There are no exceptions as this would affect the other fishers scheduled on the trip. This also applies to trips booked within 72 hours of trip. Should you need to cancel your charter, you will need to contact us by phone (1-808-667-2774) no later than 72 hours in advance of your departure. What about foul weather cancellations? Keep in mind, weather conditions differ from one area of the island to another. Regardless of poor weather conditions, you must check in at the booth. You will then be informed by the captain whether or not a trip cancellation is necessary. You WILL NOT be charged for cancellations made by the captain. If foul weather is suspected and you are concerned, be sure to call us at 1-808-667-2774.